The first round of box office tracking is in for Warner Bros.’ “Fantastic Beasts: The Crimes of Grindelwald,” and early tracking shows the film has a strong chance to match the opening weekend of its 2016 predecessor. As is common with big releases, estimates from trackers vary. One tracker is currently projecting an opening of $63 million, while another is projecting the sequel to come close to the first “Fantastic Beasts” opening of $74.4 million. But with three weeks until the film’s release, there’s a lot of potential for the film to gain more buzz among Harry Potter fans. 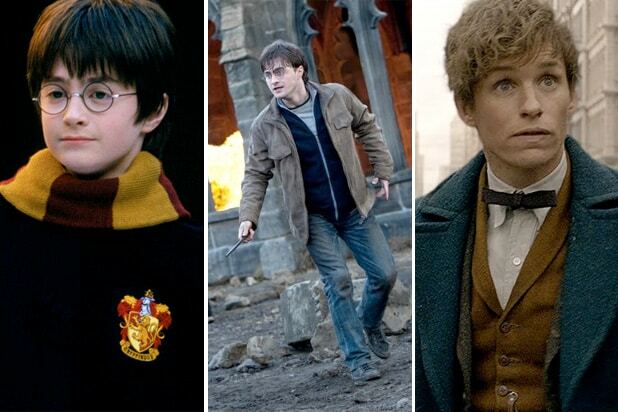 While the first film’s marketing focused on what separated this new installment of J.K. Rowling’s “Wizarding World” from the Potter series — new characters, new creatures and a magical New York — this film is being treated more as a prequel to Rowling’s legendary boy wizard saga. 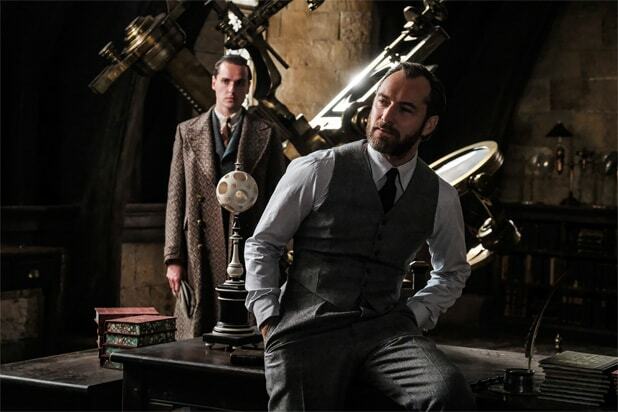 Trailers for the film show footage of Hogwarts decades before Harry’s arrival on its hallowed grounds, as well as a sneak peek of Jude Law as future headmaster Albus Dumbledore and Johnny Depp as Gellert Grindelwald, Albus’ former companion turned dark rival. The trailer has also revealed that Nagini, Voldemort’s future pet snake, was originally a woman cursed to become the slithering giant reptile. Depp’s presence in the film and in its promotion has led to bad publicity. Depp appeared at WB’s San Diego Comic-Con presentation at the same time that Amber Heard, his ex-wife who has accused him of domestic violence, was there to promote “Aquaman.” But that doesn’t seem to be affecting interest in the film, particularly among family audiences more interested in wizarding adventures than Hollywood headlines. If the film gets solid word of mouth from fans and critics, it will have a chance at reaching $200 million domestic, as the first “Fantastic Beasts” did when it grossed $214 million stateside two years ago. But the big test will be overseas, where “Fantastic Beasts” grossed $580 million to drive it to an $814 million global haul. Prior to the first film’s release, Rowling revealed that plans were in motion to make “Fantastic Beasts” a five film saga, so sustaining that global interest will be key to the franchise’s long-term viability. But the holiday season will see the studio put its two biggest franchises back out in the market with “Fantastic Beasts” and “Aquaman,” the latter being the first installment in the DC Cinematic Universe since “Justice League,” which fell well short of $1 billion worldwide despite featuring a white-hot Gal Gadot as Wonder Woman and more of DC’s most iconic superheroes. If both films perform well, it will solidify WB’s reputation as a studio that can release a hit from any genre and any budget size. “Fantastic Beasts: The Crimes of Grindelwald” sees longtime Potter director David Yates return along with original cast members Eddie Redmayne, Katherine Waterston, Alison Sudol and Dan Fogler starring alongside Law and Depp. Elsewhere, the Paramount comedy “Instant Family” and the Fox awards contender “Widows” are tracking to far smaller numbers, with both films projected for a mid-teens opening. “Instant Family” stars Mark Wahlberg and Rose Byrne as a couple that adopts three orphaned children, while “Widows” features an all-star cast led by Viola Davis, Elizabeth Debicki, Cynthia Erivo, and Michelle Rodriguez as a quartet of widows who look to complete their dead husbands’ robbery plot to pay off a criminal debt.